Here is very interesting logic puzzle which will test your mind. In this Mind Test Question, there are some logical equations given the puzzle picture. Your task is to decipher the logical relationship between these number equations and then solve the last equation to find value of missing number. Can you solve this Mind Test Question? 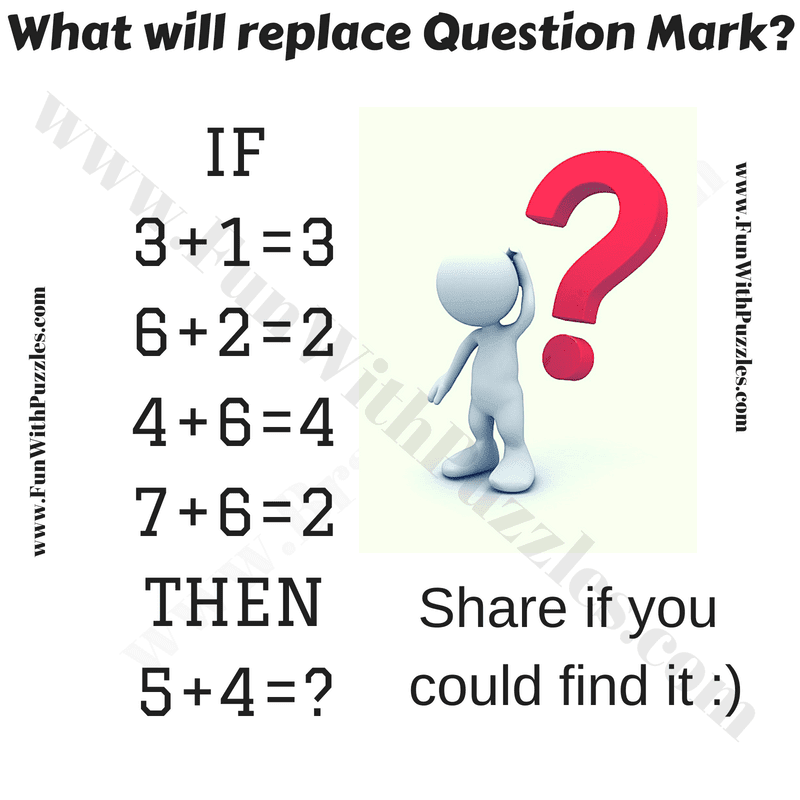 Answer of this "Mind Test Question for Teens", can be viewed by clicking on button. Please do give your best try before looking at the answer. Multiply both the numbers and then use only the unit's digit in the right side of the equation. Check Out Fun Brain Test to prove that your brain is lazy?